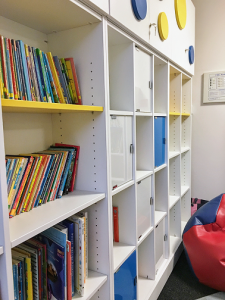 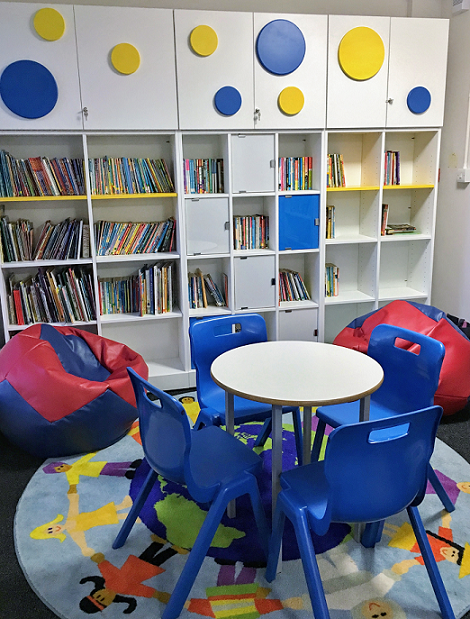 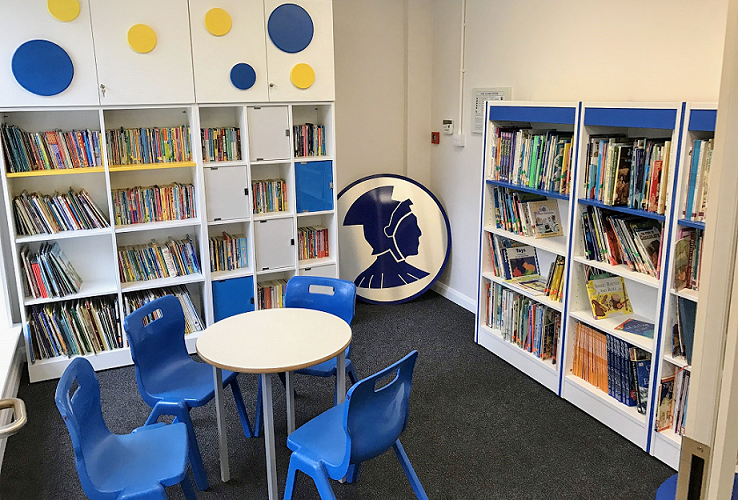 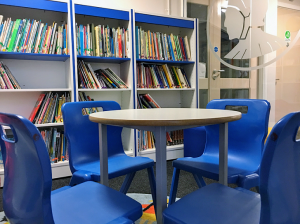 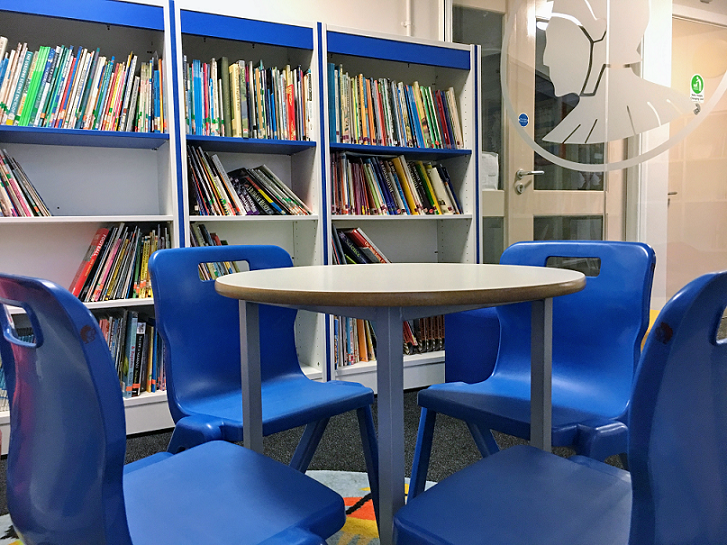 The Ancaster Primary School Library Refurbishment project was completed by TODDS in 2016. 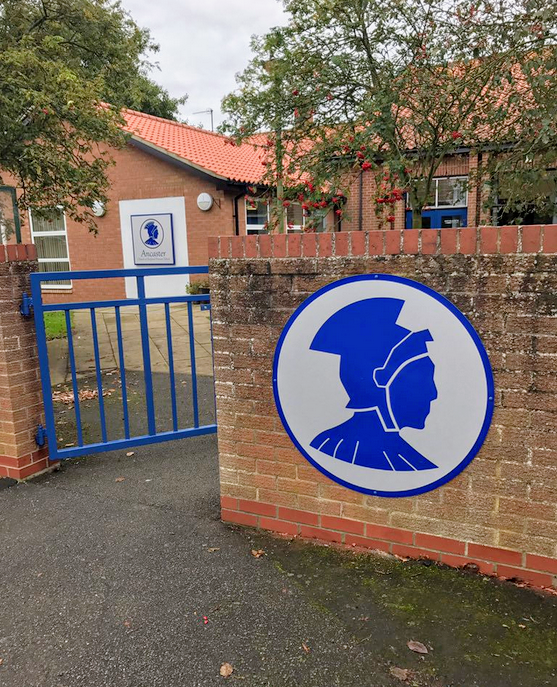 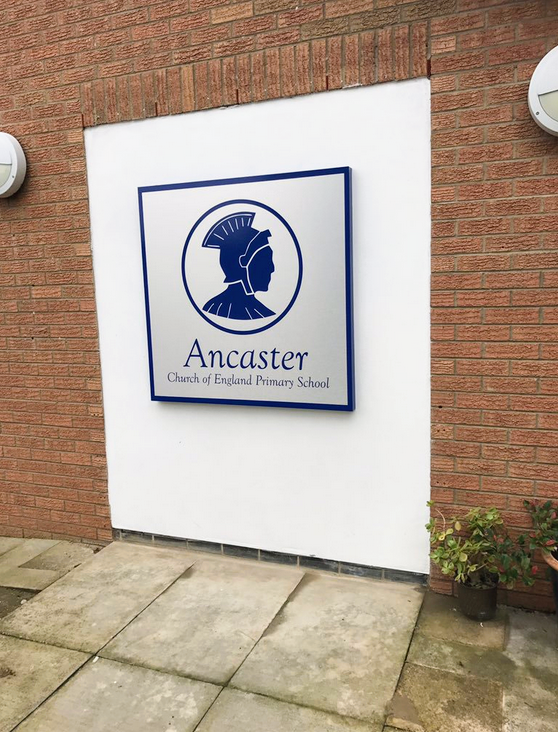 Ancaster Primary School in Grantham is a school for pupils aged 4-11. 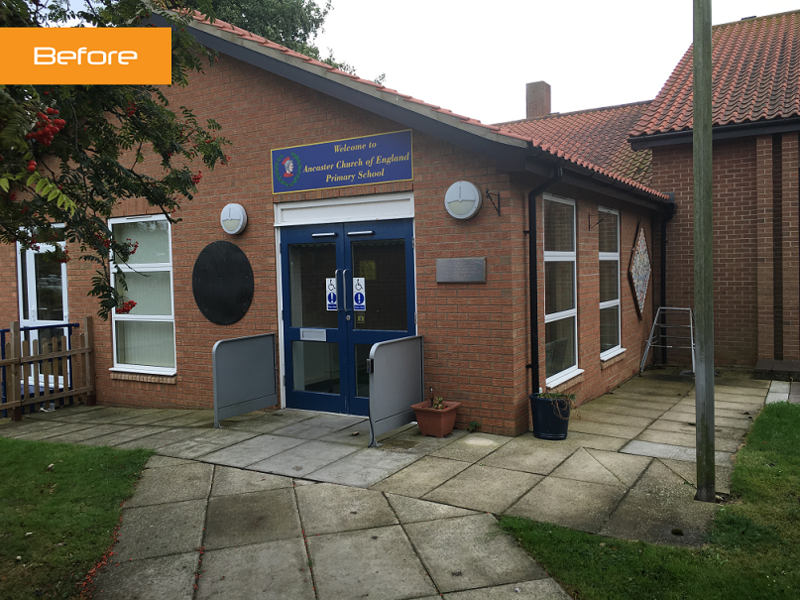 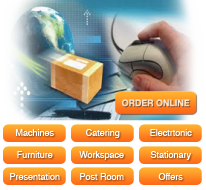 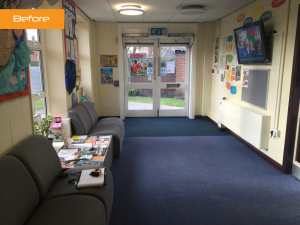 Deborah Moore (Business Manager) and Sam Eden (Head) contacted us to create a solution for their schools entrance. This needed to make the area more functional as well as create a holding space and library area. To start the project, we had to create a new layout that expanded the current disabled toilet and created library. 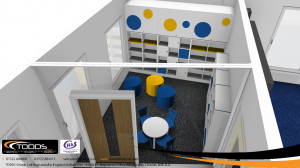 Once established we were able to begin by producing designs for the library space. With limited room, it needed to be functional but also create a great first impression at the schools entrance. 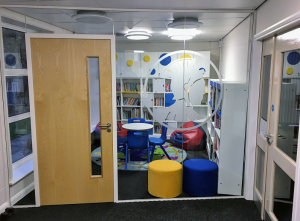 Products used within the library were a bespoke library wall, various shelving units, Ocee Design Dot & Dash stools as well as Titan chairs for group work. 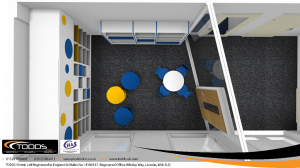 Stools were upholstered in Bradbury’s Omega Plus Ocean and Sunset. To create this new space we installed a new glass partition as well as relocating the current entrance doors in order to incorporate a new security system to gain access to the school. This needed a new access ramp as well as appropriate signage around the site which Allen Signs helped produce. 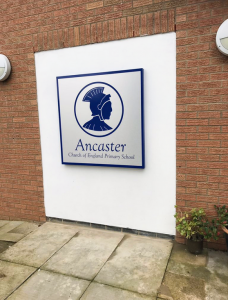 With an aim of completing during the easter half term, we had a goal of 2 weeks to complete the project from start to finish.Ancaster now has a more secure premises which requires all visitors to request access inside. 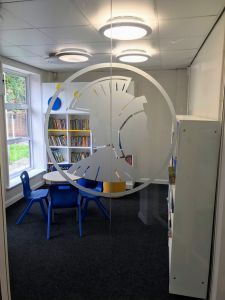 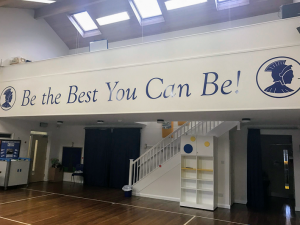 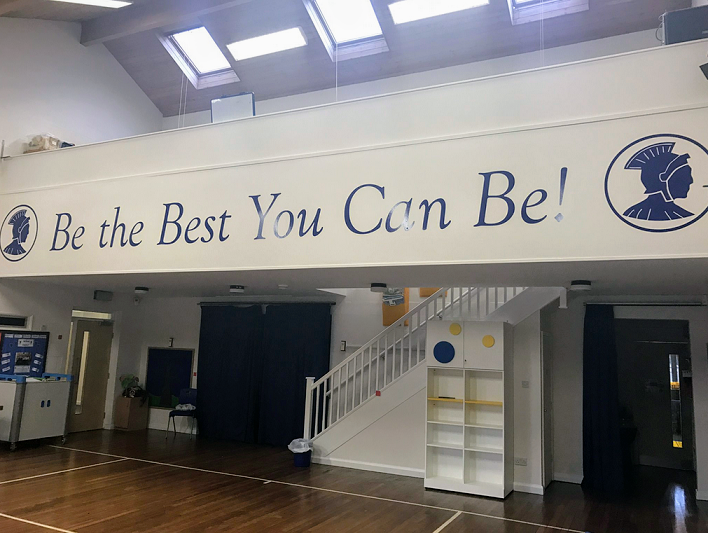 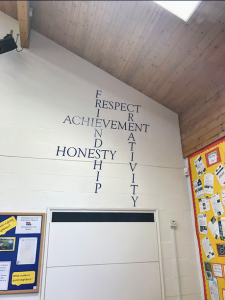 The new signage allows them to proudly display their values about the school and once inside you can see the new library space which has created a modern and funky learning environment.